We have seen that Vishnu or the force of sustenance is a particular poise of Reality. Two other equally important poises of the same Reality are the forces of creation and dissolution. Whatever is created has to ‘dissolve’ when the force of preservation cannot sustain it any longer after an optimal point in time. Even in our earthly existence, ‘forms’ like dinosaurs disappeared after they could not sustain themselves in the struggle for existence. They outlived their utility, exhausted their vitality or else could not fit into their habitat. Our human creations too follow a similar fate. We build cities, civilizations, cultures but they are also subject to the ravages of nature, time, history and our own internecine conflicts. The human being himself has a similar fate. One who is born and triumphed and suffered has to die too. Yudhistir had commented in the Mahabharata that the greatest paradox in life was that though man is destined to die, he behaves as if he is immortal. Yogic psychology has an answer to this phenomenon– the consciousness of man is immortal and outlives the individual life-span. That is why the urge for immortality springs from the intuitive schemata of our consciousness. It is in the perspective of what we understand as ‘consciousness’ in yoga that we have to understand the significance of the three famous strides of Vishnu. The three strides of ‘Vishnu’ actually span three cardinal ‘worlds’ in terms of consciousness. THE FIRST WORLD IS THE ‘EARTH OF THE PHYSICAL CONSCIOUSNESS’ (or the physical plane of consciousness). 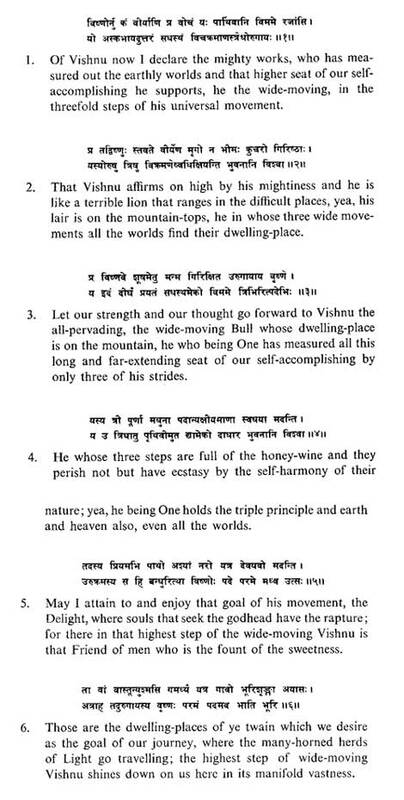 That the world of Bliss is the third stride of Vishnu was always acknowledged. By an extension of consciousness mystics and seers could have an experiential realisation or identification with this world. But it was not conceived how this world of Bliss could be made to manifest in earthy existence. In fact, the ‘technology’ of manifesting the Absolute Reality in earthly terms was ‘missing’. And it was because of this missing element that creation could not be sustained and dissolution (Pralaya) had to repeatedly occur. 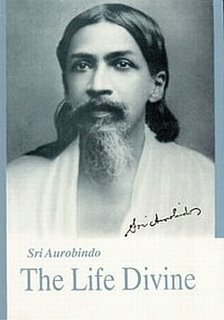 Sri Aurobindo describes that a progressive creation that does not dissolve can only be initiated if the evolution of human consciousness exceeds the mind and reaches a very high plane, which he termed as the ‘supermind’. This is “a force higher than all those which have so far manifested and which will give the body a plasticity that will allow it to progress constantly, that is, to follow the divine movement in its unfolding” (The Mother, Collected Works, vol.7, page 209).If the Supramental consciousness manifests in the earthly consciousness, the Bliss-principle (Ananda) can be activated in life. Naturally, this ‘descent’ of the higher principles into the bosom of matter and the inconscience is not haphazard but follows a particular pattern of ‘self-concealing’ (which we will deal in subsequent chapters). Likewise the reverse movement of revelation takes the form of an evolutionary ascent. During the journey of the evolutionary consciousness there are particular stages through which the Supreme Reality progressively unfolds. EACH SUCH STAGE IS A MILESTONE IN EVOLUTION, EACH SUCH STAGE IS A LUMINOUS EMERGENCE, AND EACH SUCH STAGE IS A WORLD THAT VISHNU TAKES IN HIS STRIDES. The plane of Mind has manifested in our earthly existence. The world of Bliss is yet to be manifested in our earthly reality though it can be experientially perceived at higher states of consciousness. Heaven needing earth’s passion to quiver its peace into rapture. Marry, O lightning eternal, the passion of a moment- born fire!